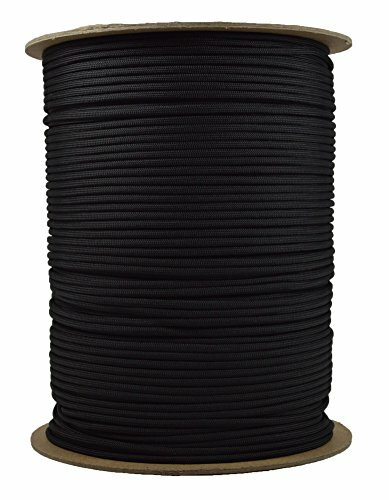 Why Paracord Hero branded Paracord? -Bored Paracord prides itself on quality & customer service. It is our number one goal to assure that you are 100% satisfied with your customer experience with us. If you are not satisfied, contact us & we will do everything we can to ensure you are completely happy with your purchase! -We source our Paracord from quality U.S. Government contractors so you are receiving top-notch Paracord. The same U.S. Government Contractors that supply Military Grade Paracord to the U.S. Military. So you know you are not getting some cheap imitation product that will fail when you need it most! -Not sure what all you can use Paracord for? The uses are ENDLESS! We are passionate about our products and we know that everyone uses Paracord for different reasons. Uses include but not limited to are: survival applications, camping, hunting, fishing, home use, garage, emergencies, crafting, apparrel, gardening, & so much more! With so many uses, you'll never feel like you bought too much!